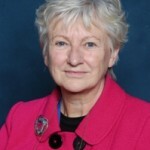 Angela Little is Professor Emerita at the Institute of Education, University of London and Trustee of UKFIET. She is known for her work in primary education policy and practice in developing countries as well as education planning, program evaluation and assessment. Angela has been adviser to various governmental, multilateral and non-profit organisations on education policy, planning and evaluation. She is a founding member of the London International Development Centre, chairs the International advisory group for the Young Lives longitudinal study and is a member of the Academy of Social Sciences.